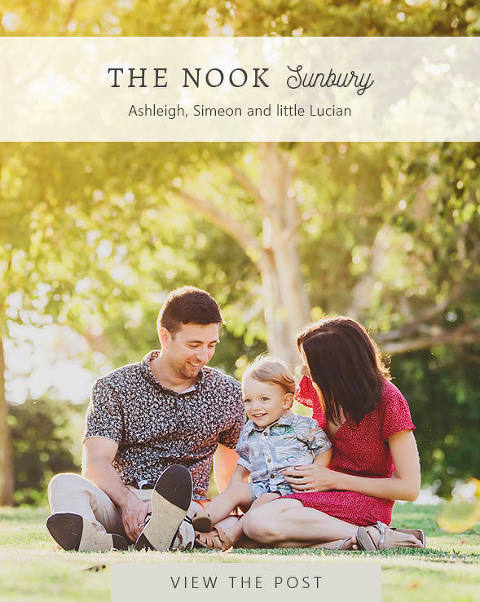 Family portraits at the Nook On the eastern edge of Sunbury, Melbourne, lies The Nook. It is a beautiful spot for picnics, bike rides, family walks and off course family portraits. Michelle and Paul spent some family time together with baby Ella and we were able to capture some great family portraits at The Nook….